This Kelo-Cote is going to take a closer look at the facts and details to learn more about how this scar treatment works and to see if it’s worth trying out for a reduced scar appearance. The manufacturer claims that their patented, transparent and self-drying silicone gel can improve the appearance of scars and prevent abnormal or excessive scar formation. They also claim that Kelo-cote can diminish the appearance of hypertrophic scars and keloids which have a raised or discolored appearance and has the ability to soften and flatten raised scars and reduce the redness associated with scars. The two active ingredients in this gel are Polysiloxanes and Silicon Dioxide. Another name for Polysiloxanes are Silicones which are a type of polymer which is made of repeating units of siloxane, a chain of alternating silicon atoms and oxygen atoms. It helps heal scars by protecting the scarred tissue from bacteria and it increases hydration of the stratum corneum. The manufacturer does not reveal how much of each ingredient there is. Without knowing how much of each ingredient there is in every serving there is no way for us to know if it is enough to be effective. The manufacturer recommends making sure that the affected area is clean and dry before applying the gel. You should then apply Kelo-Cote to the area as a thin coat and allow it to dry. Once it’s dry it can be covered with cosmetics or sunscreen. You should apply the gel twice a day and the recommended duration of treatment is 60-90 days. If you are pregnant, nursing or have sensitive skin you should speak to your doctor before using this treatment. There is the possibility that using this gel will cause irritation. If irritation does occur, discontinue use. You can purchase Kelo-Cote exclusively from third-party retailers. We found one tube online for $25.25. There are no discounted bulk purchasing packages but that can vary according to the third-party retailer you purchase from. We were unable to find any mention of a manufacturer’s guarantee and it appears that they do not offer one. 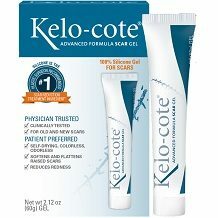 Kelo-Cote appears to be a promising scar treatment. It comes in an easy to apply gel for convenience and it is able to treat a wider variety of scars than we generally find from other scar treatments. However, this product is not backed by a manufacturer’s guarantee which means that if you purchase Kelo-Cote and are dissatisfied in any way, you cannot get your money back from the manufacturer. The lack of a manufacturer’s guarantee also implies that the manufacturer is lacking confidence in their product’s ability. Furthermore, while every person can have varied results from using a treatment, we found most of the consumer feedback to be negative. Consumers reported that after regularly applying this gel as instructed by the manufacturer, they did not see any difference in the condition of their scars. They claimed that this product does not work. 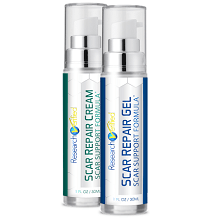 With so many scar treatments available on the market, you are better off choosing one that is backed by a strong manufacturer’s guarantee for consumer protection and one that has been shown to be effective.